I’m excited to announce that the 1889 feminist utopia to which I wrote the introduction, New Amazonia: A Foretaste of the Future by Elizabeth Burgoyne Corbett, is now in print – with a beautiful cover from Aqueduct Press’s Heirloom Books imprint. When Elizabeth Burgoyne Corbett sat down in the late 1880s to imagine a world 500 years hence, she can little have imagined that her words would be pored over in another century, on another continent, in a community gathered around the kinds of imaginative engagement with gender that she was pioneering. 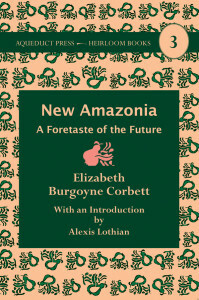 L. Timmel Duchamp has described feminist science fiction as a “great conversation”; Corbett’s speculations about New Amazonia are part of that conversation’s prehistory, a fictional contribution to political debates with which the writer was intensively engaged. The book you are holding is a piece of utopian fiction, but it is just as much a feminist rant––entertaining, educational, and more than a little over the top. Hilarious at some moments, it is shocking and dispiriting in others. It forces us to remember how easily feminist hope can coexist with racism, class hierarchy, imperalism, and the ableism that justified eugenic reproductive policy. Utopias and rants are both genres that make presumptions and prejudices acutely visible. 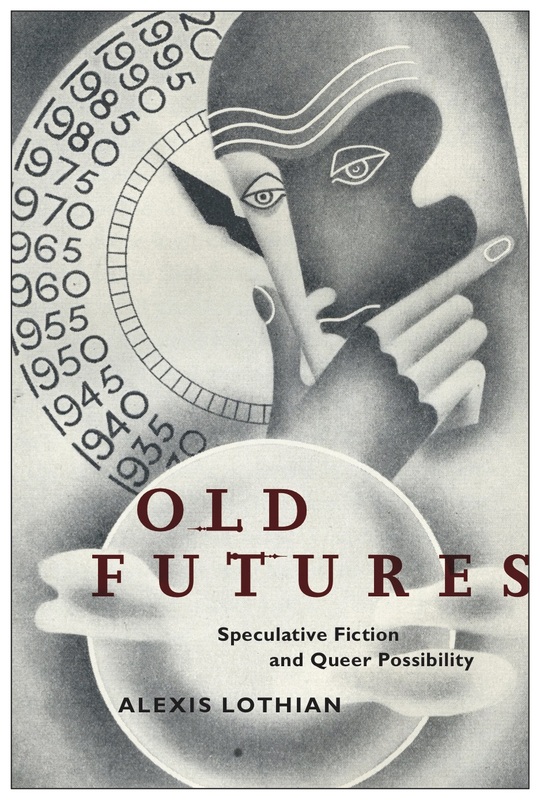 You can buy the book directly from Aqueduct, in print or ebook (which I recommend, since they are a small publishing house doing amazing work to support innovative and radical feminist science fiction), or from Amazon.com.